You know how having a good hair day can change your entire outlook? Well imagine how important it is to have a REALLY good hair day on your special day. Whether it’s your prom, wedding or just a special event with a special someone, having a great formal hair do can be the difference between having fun and having a fabulous and memorable time. And with all the photo sharing that is part of social media lifestyle, your hairstyle will be captured for (literally) the world to see. Taking the time to plan ahead and try different style and looks will be worth the effort when you feel beautiful and look amazing in all the photographs. 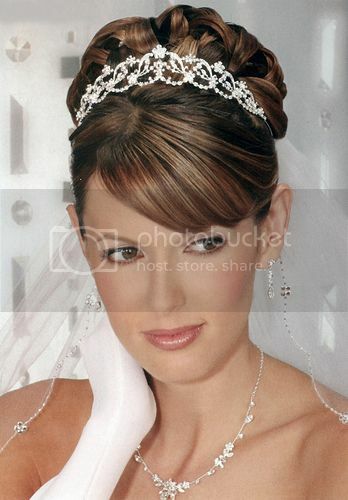 When planning formal hair for a big event, make an appointment to go in and meet with a hairdresser. If possible, bring a picture of the dress or outfit you will be wearing. This will help the hairdresser get an idea of your personality and expectations for the look you want. Be open minded at this appointment. Your hairdresser probably has a lot of experience with what works and what doesn’t work with different hair cuts and textures, and she can help guide you to a look that will enhance your natural beauty. Keep in mind that you want your updo to compliment your entire look, so if you have a fussy dress with lots of details, keeping things simple on the hairstyle front may be a better choice. Another consideration for updos is working with the natural texture of your hair in the context of the activity. If you have curly hair, trying to get a sleek up-do that will be worn to an event on the water may work against you. Especially if the weather turns out to be humid. Try to keep your prom or wedding hair complimentary to your hair texture, so that your look will be more natural even if Mother Nature has different plans. Don’t be afraid of accessories to help keep your updo up. A strategically placed flower or ribbon can not only enhance your look but it can keep loose strands in place. Prom hairstyles can be as playful or elegant as you want. Partial updos are also beautiful ways to showcase your hair, by leaving the length and creating an elegant upsweep on the back of the crown of your head. If you are planning an updo for your wedding hairstyle, you should bring any head pieces or veils to your initial styling appointment. Your hairdresser will be able to try out and recommend different looks that will compliment your face shape, hair texture and head wear. Be sure to book your final appointments early in the day before your prom or wedding. Especially during prom season, hair salons get very busy and you don’t want the stress of not getting the prom hairstyle look that you want because you couldn’t get an appointment! Don’t be afraid to play around with different updos. You may find a style or look that is perfect for your special day, and with a little planning and time, you can be the belle of the ball.